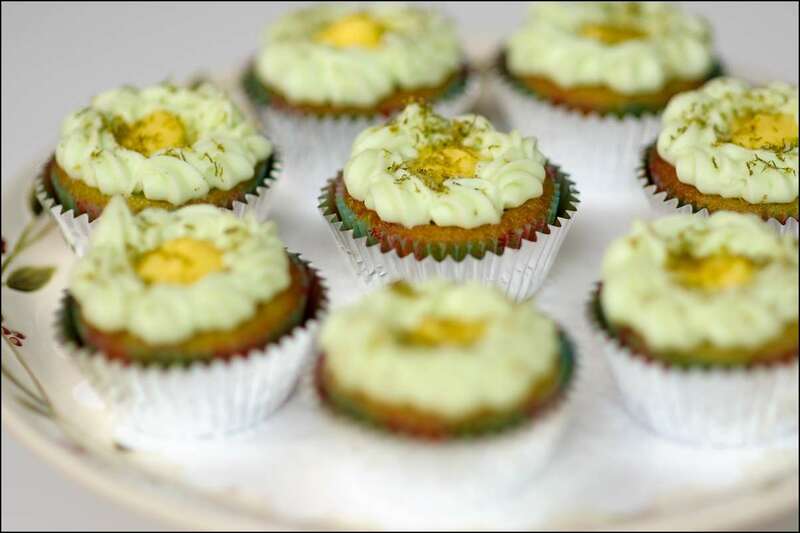 These juicy “Key Lime” cupcakes are just the thing for Spring! 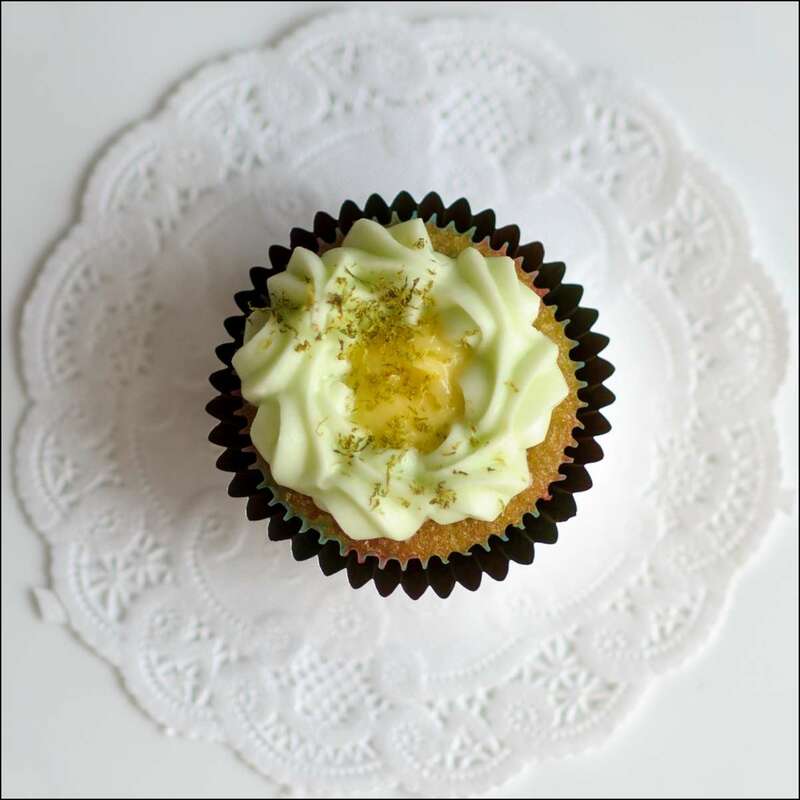 The cupcakes are a juicy lime cake with a lime simple syrup poured over them while warm (this really infuses the lime flavor into the cake). There is a creamy lime filling made by mixing equal parts tangy lime curd and Swiss Meringue Buttercream (SMBC) with a dollop of lime curd on top. 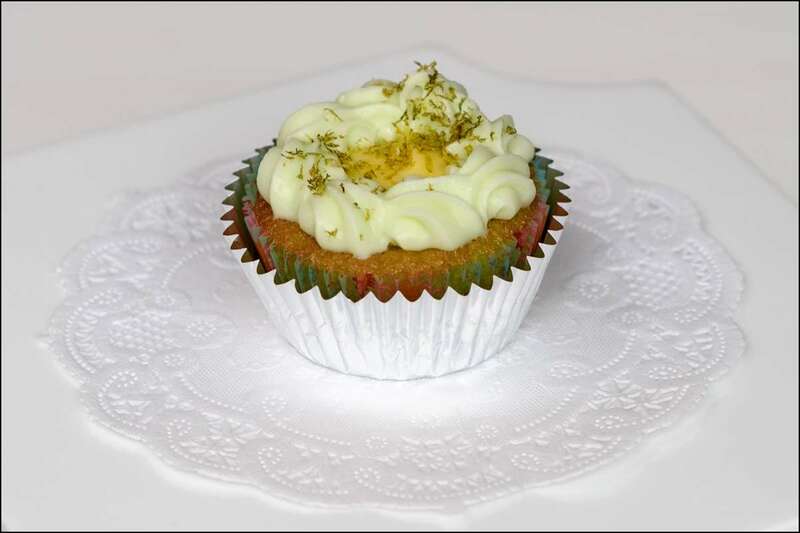 To balance the tartness, they are topped with a halo of lime cream cheese frosting and a sprinkle of lime zest. Now THAT’S sunshine!